Andy Tauer is one amazing dude. Not only is he an incredibly talented self-taught perfumer he’s also a fascinating blogger as well as being a very nice chap indeed. What I love most about Andy Tauer is the fact that he constantly pushes the boundaries with beautiful, innovative compositions whilst staying true to his signature style. Whether you click with this signature style or not Tauer’s collection, which contains his Classics, Homages, Pentachords and Collectibles, is so diverse that you’d be pretty darn unlucky not to find something to fall in love with. Whether you are attracted to the throwback rose of Une Rose Chyprée or the orange/vanilla supernova of Orange Star you are bound to find something to adore. Perhaps the most interesting of Tauer’s projects is his collaboration with filmmaker Brian Pera for Tableau de Parfums, a line of perfumes inspired by the heroines of the Woman’s Picture Series. First came Miriam, an impeccable vintage floral and now we have Loretta, Tauer’s ode to tuberose. Andy Tauer AND tuberose?! Surely this could go either way! It could be the amazing tauerade soaked floral I hope it to be or it could be a hot mess. Described as referencing “the rich spicy orientals and elegant floral classic of the seventies and eighties, with a modern twist” Loretta is unmistakably Tauer but at the same time it feels new, not just as a Tauer fragrance but as a tuberose. It has the striking ability to smell simultaneously familiar yet alien and it is so bold in character that it will easily be one of those perfumes that divide opinion, and as we all know those perfumes are the best kind. Loretta’s opening blast of aldehydes is big, hissy and steamy. It is coupled with the smell of sweet fruits and spices in the grand old 80s style of fragrances. What comes next is so unique and surprising one can’t quite work out whether to recoil in horror or smile at just how unusual it is. Right from the outset Loretta has an unsettling yet attractive metallic vibe. No that’s not right, metallic makes it sound cold, perhaps austere and Loretta is anything but. The smell is that of machinery, of hot engine oil, cogs and dusty metal components. This industrial facet is a marked contrast from the warmth, soft texture and vintage style of everything else that makes Loretta tick and in my mind it conjures up the image of a Steampunk girl – old fashioned yet futuristic, mechanical yet full of human warmth. A kind of vintage style of bionic if you will. The tuberose itself does not scream its own name to the heavens as so many do, but it’s not subtle either, you’d have to be a fool not to notice it but Tauer has underplayed the carnal aspects of the flower, instead opting to intensify its intense sweetness, which paired with the sticky fruity notes creates a strong impression of sweet, floral nectar that is delicious but not quite gourmand. In his fantastic review, Persolaise drew a parallel between Loretta and Christian Dior’s Poison, and I’m more than happy to agree. Each showcases the perfect symbiosis of tropical fruit and flowers, but where the two fragrances differ significantly is in the base; where Poison is dark and brooding with incense, Loretta is big bosomed and comforting with vanilla. Nobody uses vanilla quite like Tauer. It feels to me like a key part of his signature ‘Tauerade’ and in fragrances such as White and Orange Star he manages to turn it into something so velvety soft one feels the strong desire to wrap oneself in it and go to sleep. In Loretta the vanilla is very much along these lines except the sour, astringent quality of the Tauerade is more subdued than in other compositions, allowing for the vanilla to become creamier and boozier with dark, leathery facets whilst it is tinged with the intense sweetness of the tuberose. Loretta is simply gorgeous and I absolutely will not hesitate to purchase myself a bottle when it becomes available here. Yes I have a billion and one tuberoses but I don’t have this tuberose. This tuberose that smells like the scent of a Steampunk. This tuberose that takes its cues from the big 80s florals yet smells nothing like them. This tuberose that after a week of intense sampling has already crawled under my skin and installed itself straight in my heart, its cogs and components ticking away like clockwork. I adore this little weirdo. 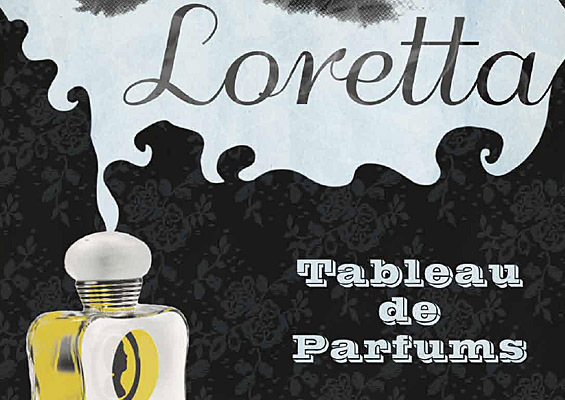 Loretta is available in 7ml and 50ml Eau de Parfum. It is at Luckyscent in the US and Scent and Sensibility in the UK (they only seem to have samples at present. Prices range from $40-$160. Image 1 barefootangieb.com. Image 2 and quotes via luckyscent.com. Notes and description via Now Smell This. Posted in Feminine, Floral, Oriental, Tableau de Parfums, Tauer Perfumes and tagged Amy LaVere, Andy Tauer, Brian Pera, Floral, Loretta, Oriental, Steampunk, Tableau de Parfums, Tauer Perfumes, Tuberose, Woman's Picture. Bookmark the permalink. O M G !!!! It sounds Incredible ! My first AT is on its way for Christmas , I asked Santa personally for Lonestar Memories ! I’m giving it to my partner ! (we share every thing) ! The Talented Portia Turbo introduced it to me and I tell u …. AMAZING !! I could not stop thinking about this frag ! Do try this if you can, it’s wonderful. I really like Andy’s scents. I didn’t at first but there’s something in them that keeps making you sniff and then all of a sudden you realize you have to have more. I can’t wait to give this a try. That’s exactly it! They’re a little unsettling at first but they hook you in. Killer line. Now I want to try this. 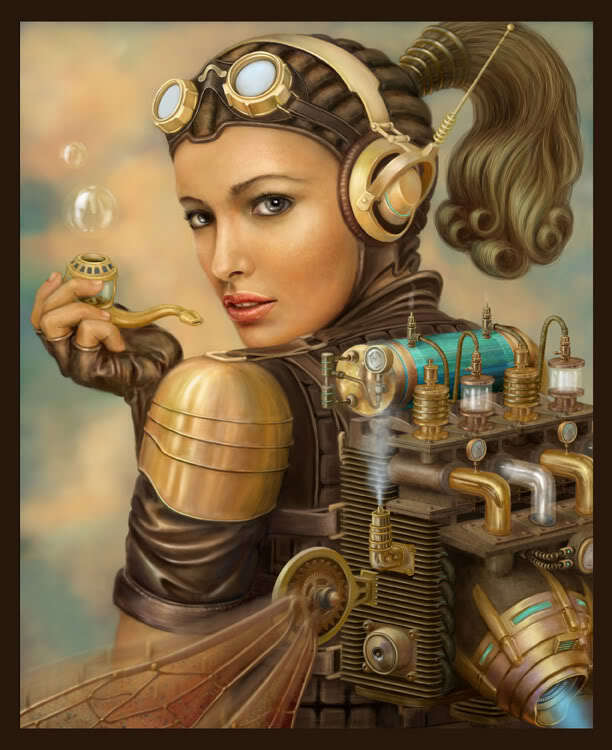 I agree with the above that your Steampunk analogy and that pic are wonderful. Sounds like fascinating stuff, I’m so glad it didn’t disappoint. Thanks Tara, do try this one if you can. I have the purse spray in this from the Kickstarter last spring. I really like it. I really enjoyed reading your description of it as steampunk. Everyone seems to get something different out of it. Also, everyone seems to think it’s like Poison, only… not. It’s honestly one of the most unique perfumes I have ever smelled. I don’t know that I love it but I’m definitely intrigued by it. We’ll see how I feel once my purse spray runs dry! You make a good point there, it is certainly the most intriguing thing I’ve smelt in a while. Now that sounds amazing. Consider a lemming made! Holy smokes – can’t wait for my sample to get here! I adored Miriam so much and now that you’ve mentioned a metallic note, I’m practically drooling! Great write up! I think you’ll enjoy this one for sure. I can’t wait for my split to arrive of this now! I absolutely love tuberose and Andy’s work so, I can’t wait to see how this is. Excellent review! I’d be interested to hear your thoughts on Loretta. I mean the Tauerade in general. There’s something off-kilter and sour about it that’s wrapped in velvety vanilla. I adore it but it is weird. Thanks for the review. I got a sample a couple of weeks ago and I’m having trouble with it; it’s so sticky-sweet. But I think I’ll persevere and see if it grows on me. Meanwhile, have you tried Sikkim Girls, from the new Lush/Gorilla Perfumes line? I discovered this today and was very impressed. Anyone who loves tuberose should smell it. But just to say, with these, you HAVE to smell them on skin. They all smell really awful if you just sniff from the bottle. They bloom on skin, though. The Tauer’s can take a little bit of perseverance, and I can see why this one especially needs time. I haven’t tried Sikkim Girls, but I love Gorilla Perfume AND tuberose so the combination is very intriguing. I agree that they need to be tried on skin. Brilliant review. Btw, I’m the guy who came up with the name for Andy’s Lonestar Memories. I remember reading about you naming Lonestar Memories on Basenotes. Great name!